All photos are actual pictures taken at the Roger Springs & lot 207. 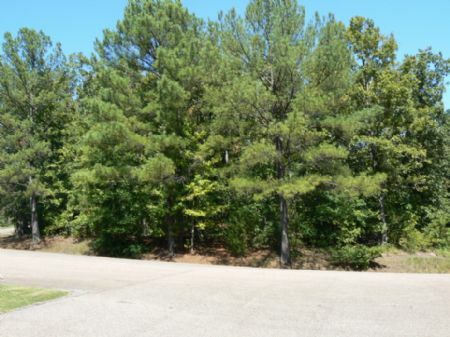 This lot is ONLY 189ft FT FROM THE LAKE and at the corner of Huckelberry & Edgewater Dr.
Roger Springs has low maintenance fee & taxes which is great for investors! YOUR WATER BILL IS INCLUDED IN THE MAINTENANCE!! · Electricity is provided by The Bolivar Electric Company. · Electric & Internet available in the community. Become a lot owner in a new Lake community! Tennessee will be the next FL, GA, NC, SC when it comes to Real Estate. No state personal income taxes and lower cost of living will fuel a large increase in demand over the next 5 years. Gated Lake community lots in NC ,SC & FL are Get in early!! So if you are planning to retire, looking for a second home or just investing. This could be what you are looking for! Have fun while you invest! Rogers Springs Lake community is a gorgeous lake community nestled amongst numerous spring fed lakes and the gently rolling hills of Western Tennessee. Rogers Springs Lake, the focal point of this beautiful neighborhood, spans across 56 acres and is stocked with an array of indigenous fish. There are approximately 250 lots and about 40 homes have already been built. Get in early! The community owns and operates its own community water system. Neighborhood activities are governed by a Board of Directors comprised of 9 elected community members. This unique lake community is located in Middleton, TN in Hardeman County. Bolivar, the county seat of Hardeman County is just 17 miles north and has medical facilities, shopping, governmental agencies, a library, etc. Rogers Springs Lake is located approximately 60 miles east of the City of Memphis which was identified by Smart Money Magazine as the 2nd most undervalued homes in the nation. Rogers Springs is only 1 mile from the Woodrun community & 8 miles from Grand Valley Lakes. The 56 acre, spring fed lake can be enjoyed by all property owners. Residents can enjoy boating, fishing and swimming. Boats, which must be 20 ft or less & maximum 6 horse power (or tilted if larger HP), can be easily launched and stored at the paved boat ramp located next to the dam. For those interested in fishing this fully stocked lake, a designated fishing pier located on the dam can be accessed. There is a designated swimming area on the lake as well. Many residents enjoy swimming in the community pool as well. The lake is maintained and fertilized each year to promote good lake health. Recent tests performed by the State of Tennessee Wildlife and Fisheries have indicated that the lake is healthy and can support good fish stock. The community clubhouse is fully equipped with a dance floor, fireplace, furniture, sound system, kitchen, bathrooms & shower. This 3000-square foot clubhouse is great for community parties or can is available for private parties as well. The community water system is privately owned and maintained by the community. Each property owner, through payment of annual maintenance dues, has water use privileges. The water is subject to TN State regulations and is tested regularly. The water is chlorinated and maintained through a state- approved controller. The State of Tennessee is one of the few remaining states with no income tax. The sales tax in Hardeman County is 9.75% on all purchases. The assessed property taxes for Hardeman County are low and only taxed on 25% of the tax assessed property value. Auto tags are a flat for each auto and no auto safety inspections are required. The annual dues assessed by the community are currently per lot. This includes water, use of recreational facilities such as the clubhouse, and maintenance of all community-owned facilities.